In case you haven’t noticed, there aren’t any Facebook client apps on windows phone apart from the official client, so we are stuck with it, and it’s not that great, still lacks a number of key features. Well, there’s good news, the team behind the app is pushing out an update to the app that will bring features and functionality users have been asking for. In a statement, they put out on the “Facebook for Windows Phone” Facebook Page, new features like threaded messaging, ability to delete posts, active links in posts, ability to “like” comments will be added to the app, this update is set to be released soon. Full Facebook threaded messaging including group messaging, all in a beautiful Metro style design. Now you can tag friends and locations in your posts in the ‘with’ and ‘at’ format. Use the tap and hold context menu to delete posts and comments from your wall. Tap on links in posts to go directly to the content. The photo comments and likes page has been updated to match the posts comments and likes page. You can see a hint of the image at the top of the page, pull down and you can see the whole thing. …you can now ‘like’ comments! We’re just going through our final rounds of testing and sign off, then we’ll be able to share it with the world. Keep your eyes peeled for the launch announcement on this page, and for the update notification on the Marketplace tile. The Facebook for Windows Phone team. One Feature I still want to see, is the ability to manage your facebook pages from within the app, sadly this doesn’t come with the update. But the questions still remain, why is there only 1 facebook client for windows phone? 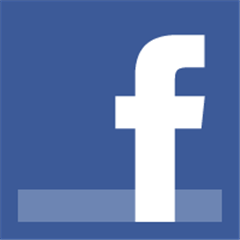 did Microsoft block third party Facebook clients? if they did?? Why??? Nokia Already Owns Over 21% of The Windows Phone Market? This is Pretty Much How I Feel Everytime the DHL Truck Pulls Up!